The Target Saver: Swago Winter Edition- First Shopping Edition of 2018!! 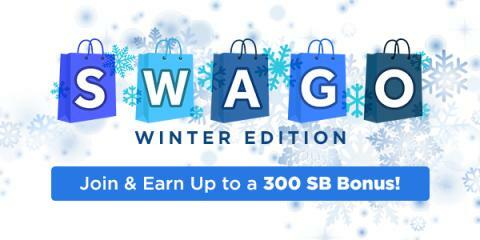 Swago Winter Edition- First Shopping Edition of 2018!! Be mindful of the patterns and their corresponding bonuses located on the right of your Swago Board. The patterns will vary in difficulty and bonus value - up to 300 SB - enough for your first $3 gift card.